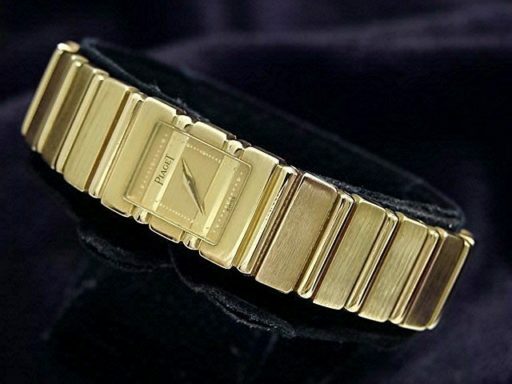 This is a gorgeous ladies 100% genuine factory original solid 18k yellow gold piaget quartz polo timepiece. 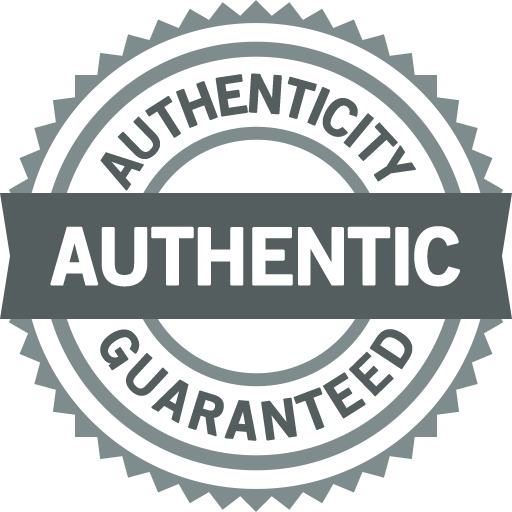 .it is guaranteed to take your breath away! ! It is in super excellent condition and looks like new on the wrist! 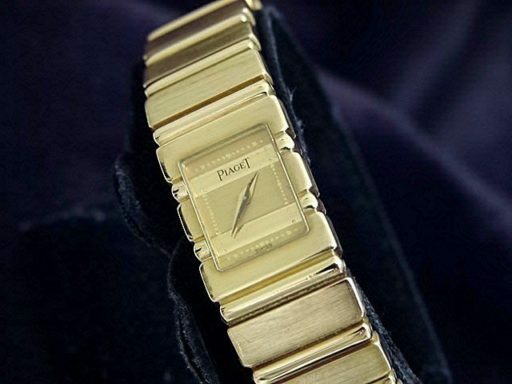 It comes in the original piaget presentation box with a beckertime 1 year warranty on anything but abuse! Don’t let this one get away. 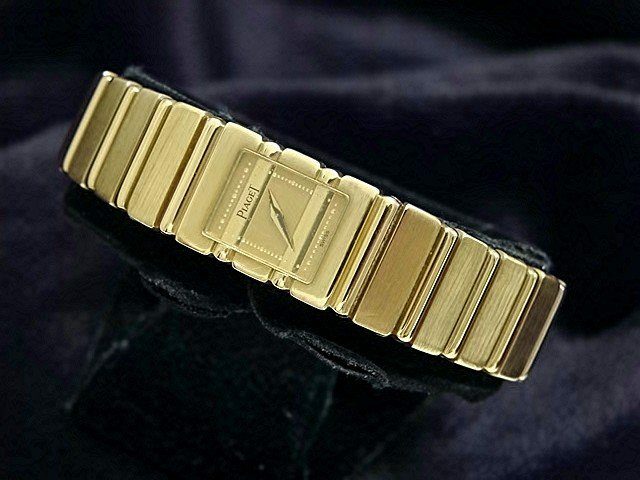 .. Buying a 100% genuine piaget in this good of condition at this price doesn’t happen often! Simply put, it does not get better than this … this type would sell brand new for $16,000 plus tax today. The original solid 18k yellow gold piaget case is in excellent condition with no dents or personalization. It was obviously very well maintained by the original owner. The serial #, reference # and crown is on the outside of the back case. The diameter is 14mm. It is water resistant and the watch weighs a very solid 75. 3 grams! ! the original solid 18k yellow gold piaget polo bracelet is in perfect condition. 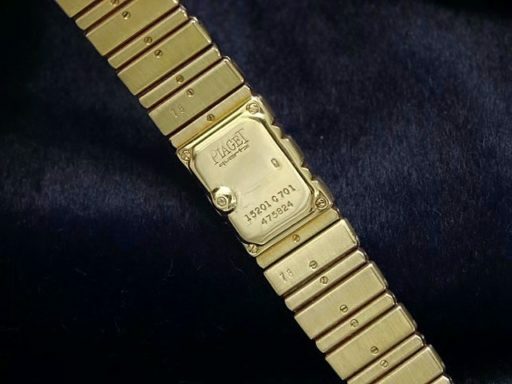 There is a scratch on the original piaget signed clasp. It will fit up to a 6 1/2″ wrist.